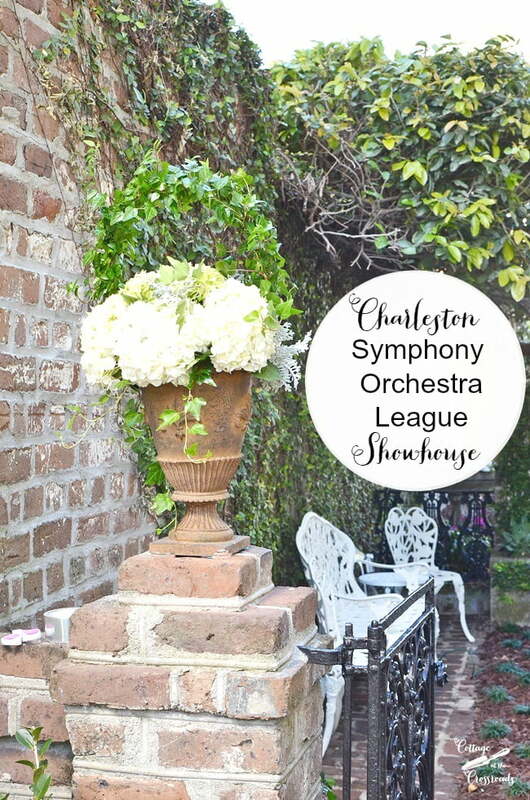 I’m back with part 2 of the Charleston Symphony Designer Showhouse! 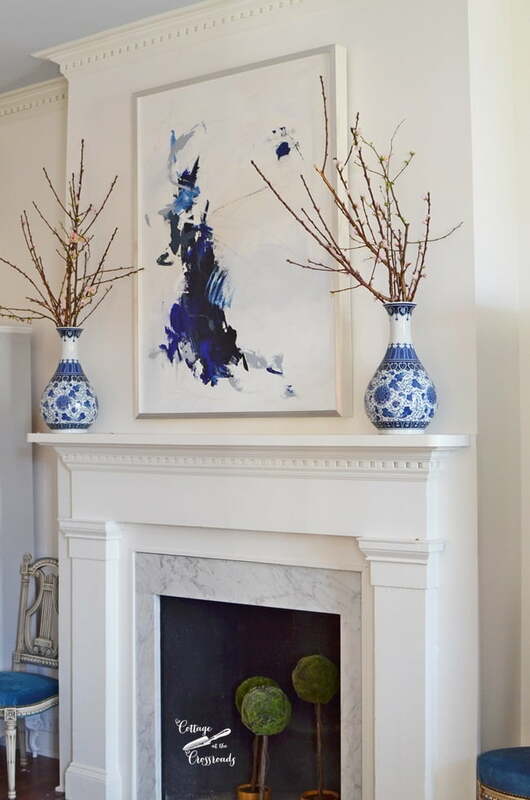 If you missed Part 1 of the tour in which a classic Greek Revival home gets updated with a modern twist, click HERE. Today I’m sharing the rooms on the 2nd level of this historical home. At the top of the stairs of the designer showhouse is the master bedroom. 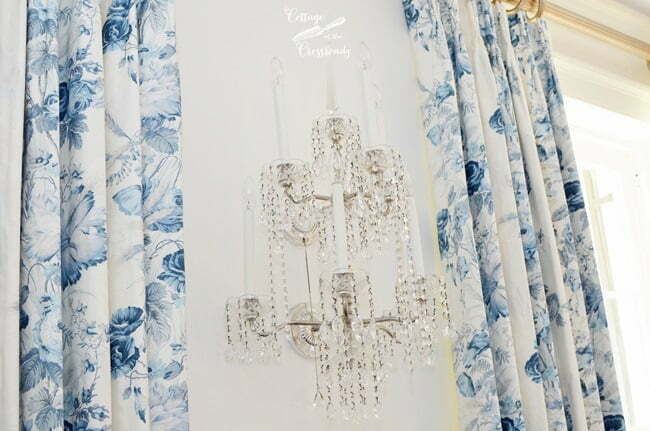 It contains such a dreamy mix of antique and contemporary furniture, luxurious linens, and a traditional blue and white color palette. A contemporary bed made up with luxurious linens, including monogrammed pillows which you cannot see, bring the room into modern times. 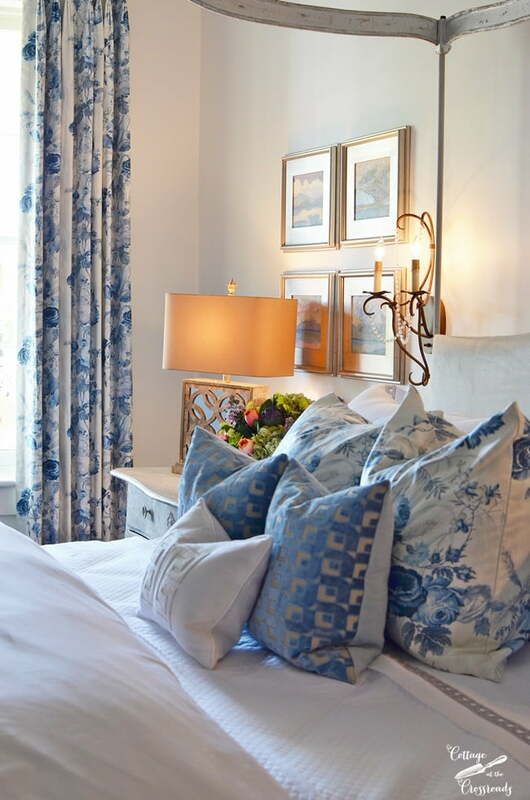 The drapery fabric design, originally printed in the 18oo’s, honors the history of this Southern home yet gives the bedroom a timeless look. And I was mesmerized by that stunning crystal sconce! 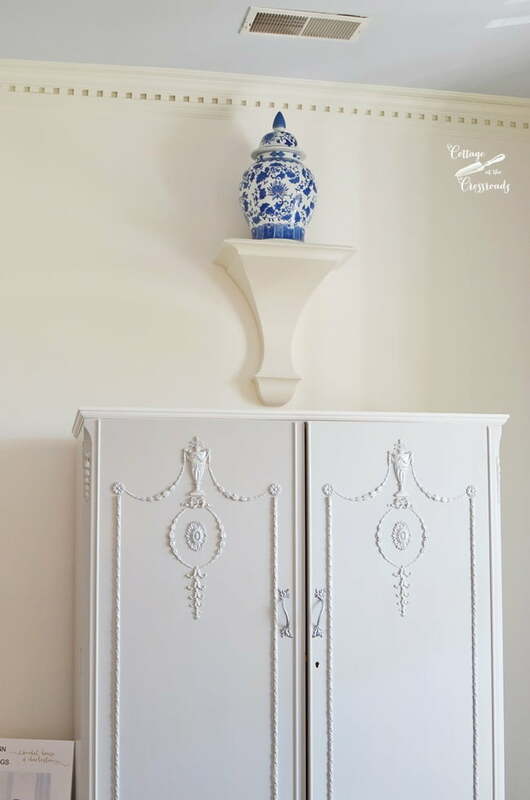 To the left and right of the fireplace were a matching pair of painted antique wardrobes, part of the owners’ antique collection. You have to remember that these old homes do not have closets! Above them were porcelain ginger jars symmetrically displayed on wall brackets. 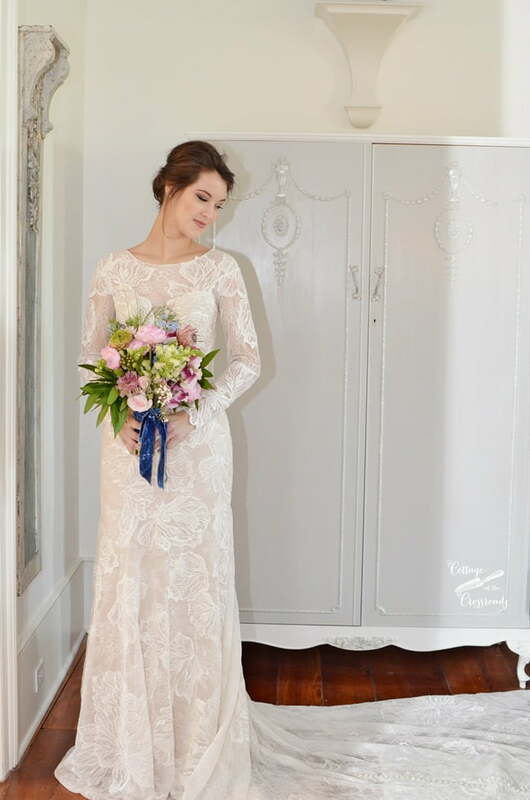 As part of the Dress-to-Room pairings, a model was dressed as a Southern bride in a beautiful, traditional lace wedding gown. Look closely at her lace train on the oriental rug. The buttons extend from the back of her dress all the way to the end of the train! 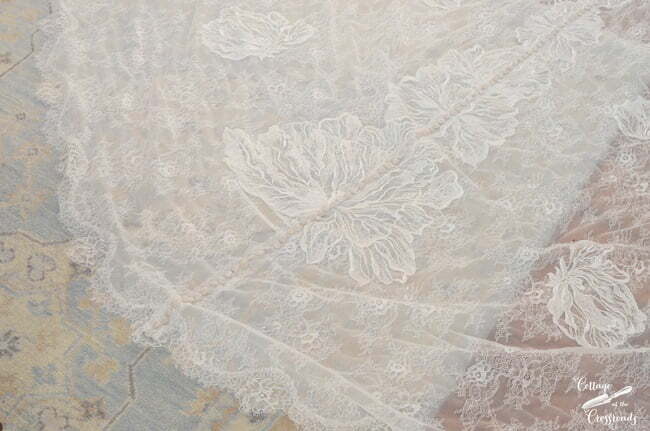 Such an exquisite detail! 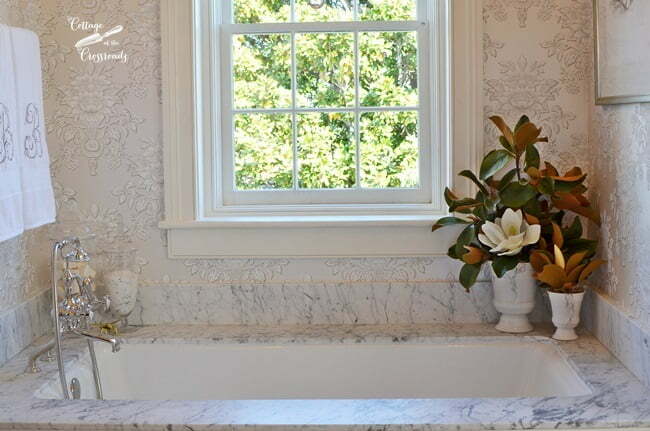 In the elegant master bath, damask wallpaper blended well with the marble tub surround. You can’t see it, but a beautiful chandelier hung over the tub. Visible in the photo are magnolia blossoms from the garden displayed in marble containers. 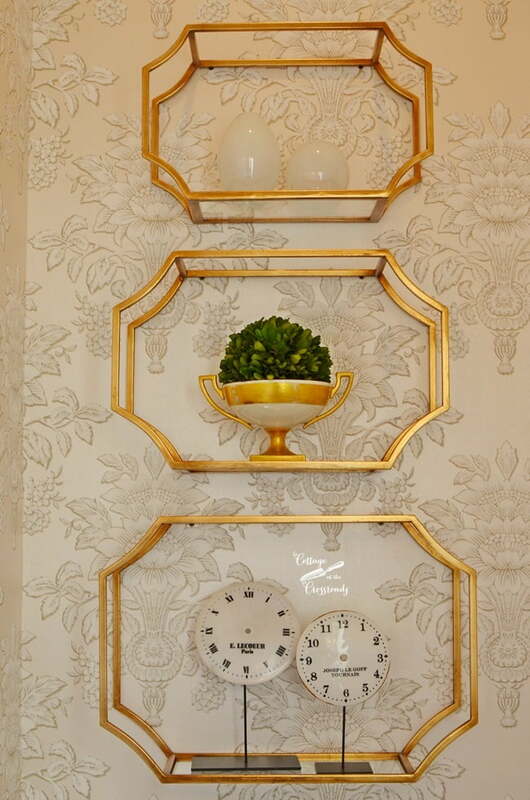 Large vintage gold mirrors hung over the vanities and these interesting gold shelves were displayed over the toilet. A small upstairs laundry room located in the hallway contained black and white wallpaper evoking designs found in the gates and fences of Charleston. The ceiling was painted “Haint Blue,” a color traditionally used on porch ceilings in the South. 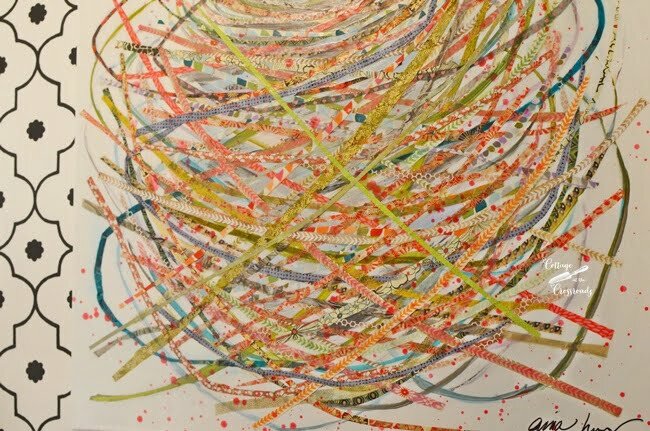 The space contained several fun and colorful original art pieces, making the task of doing laundry more pleasant. 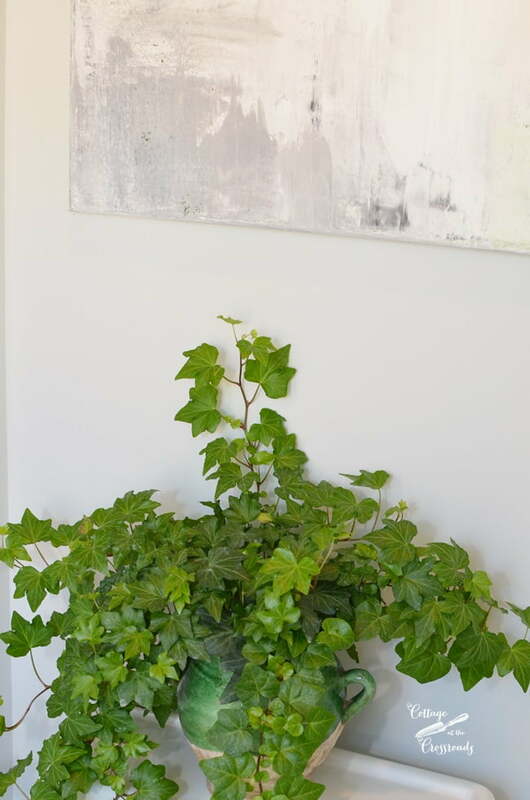 A hall bathroom was dubbed the “garden bathroom,” drawing its inspiration from the Pantone color of the year-Greenery. 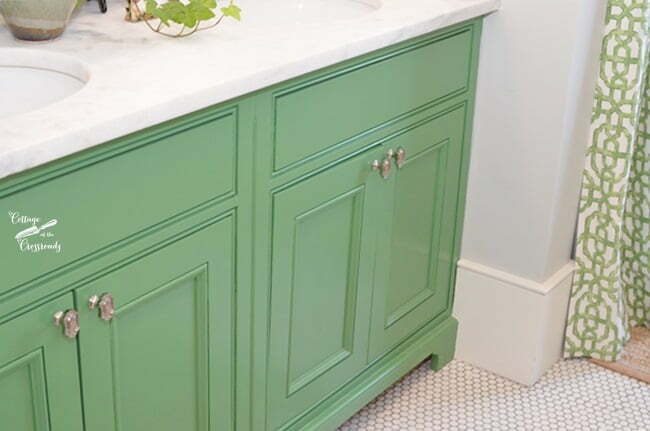 The lush shade of green used on this vanity is Benjamin Moore Bunker Hill Green. (Swoon!) The sky blue ceiling and the green, trellis fabric used in the room complimented the garden theme. Ethereal abstract art work and ivy further extended the garden theme. 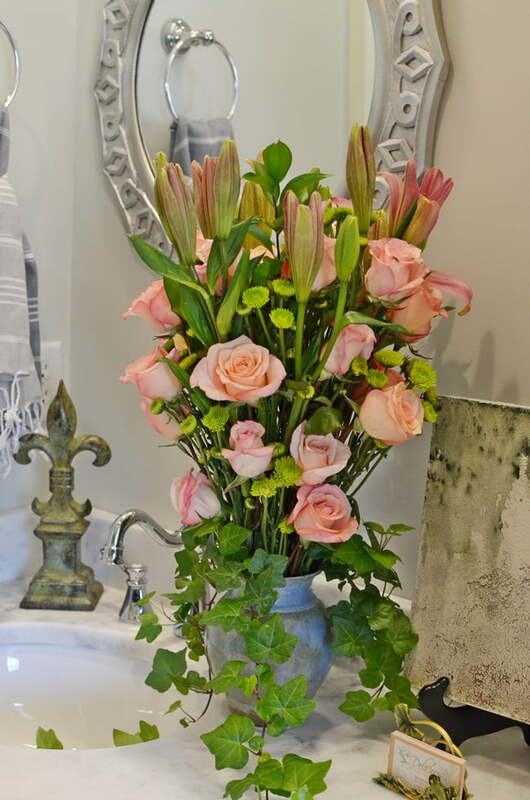 More real ivy tucked into a beautiful arrangement of roses and lilies brings a touch of spring to the space. A jewelry box of a room is the Teen Hangout with its fun and playful theme and use of bold color. 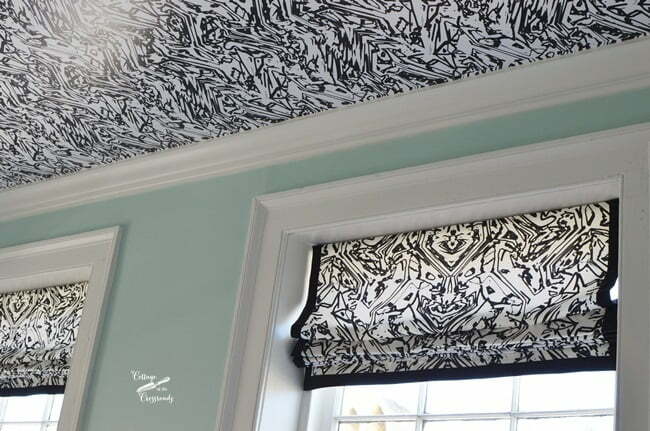 The wallpaper on the ceiling and the fabric on the shades gave the room a cohesive, graphic punch. 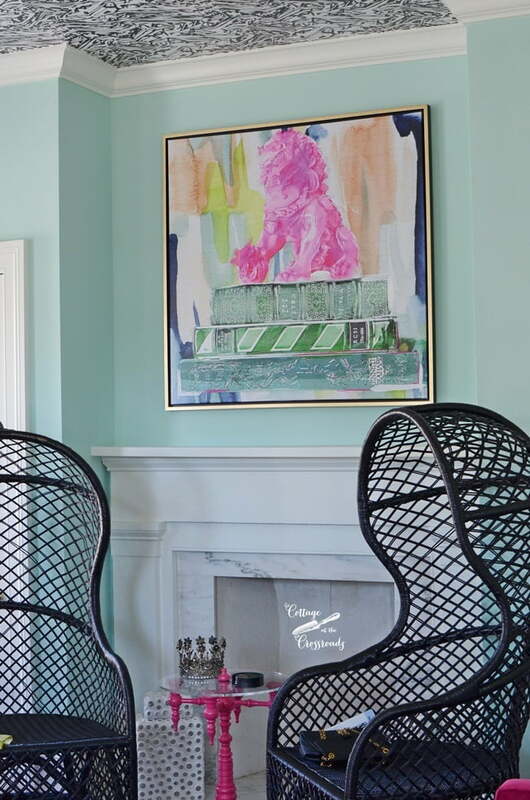 These funky rattan chairs and the colorful artwork above the fireplace create a youthful vibe. 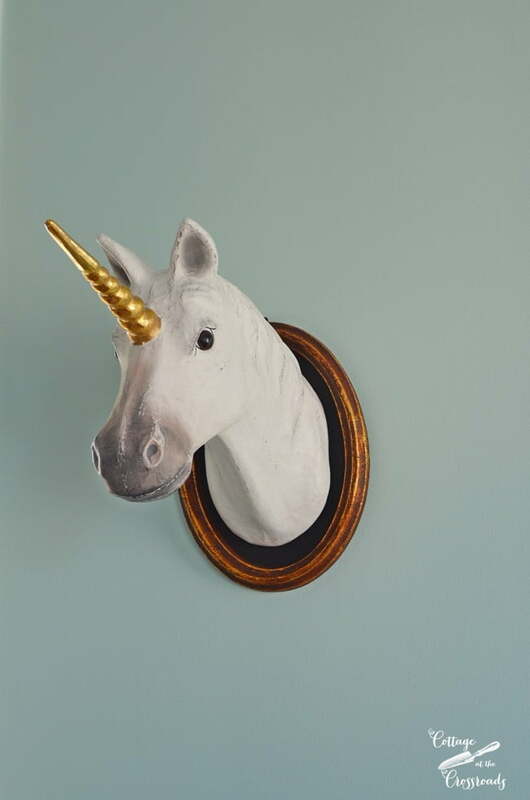 A mounted unicorn brings plenty of frivolity into the mix! The adults, though, can head out onto the 2nd level piazza, where you find more iconic Lowcountry elements. 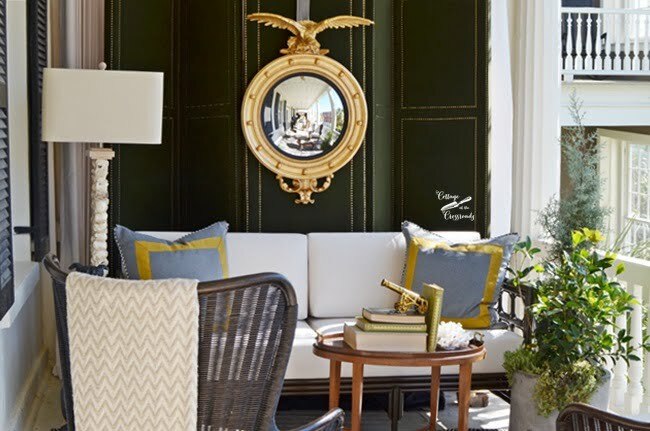 The federalist mirror gives a nod to the history and location of the home. Statuary on the piazza and a stack of books give the porch a “library” feel even though it is outdoors. 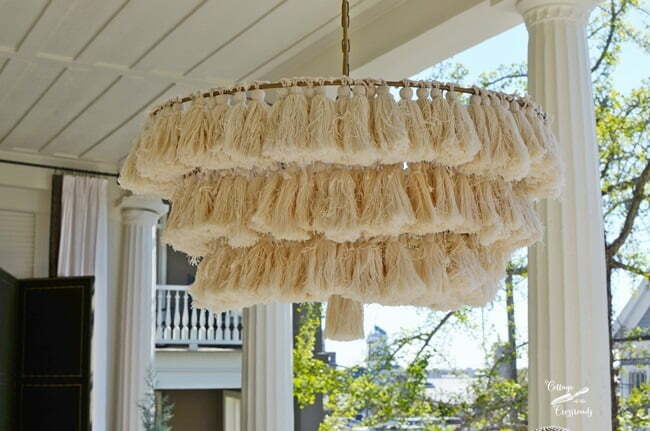 Take a look at this boho fringe chandelier! 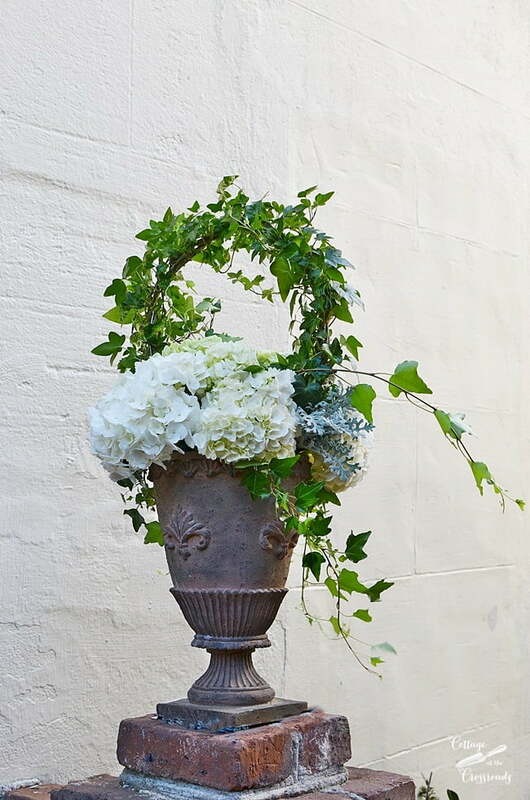 I spent some time examining it to see how I could create something like this for our porch! I love touring these showhouses to get some fresh, new ideas for my own home. Another knock-out outdoor space is this Harbour Island inspired veranda. 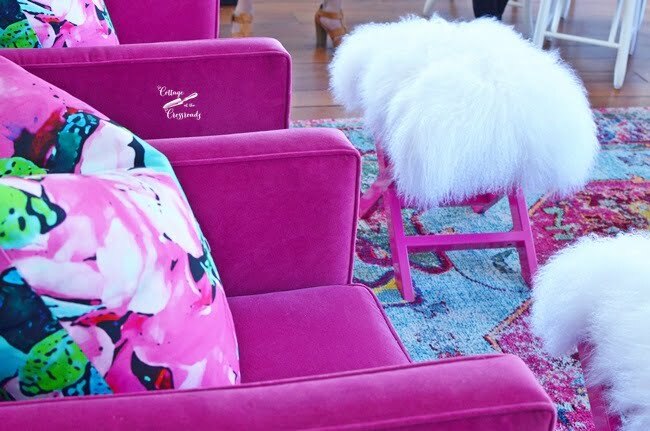 Using Bahamian pinks and greens, the space is ideal for the lady of the house to entertain her girlfriends for Happy Hour. 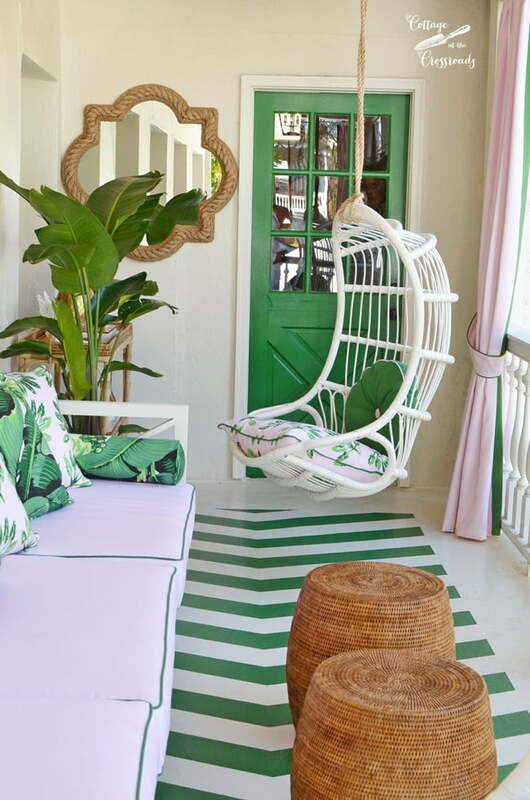 The painted floor and the whimsical hanging chairs create the wow factor, don’t you think? 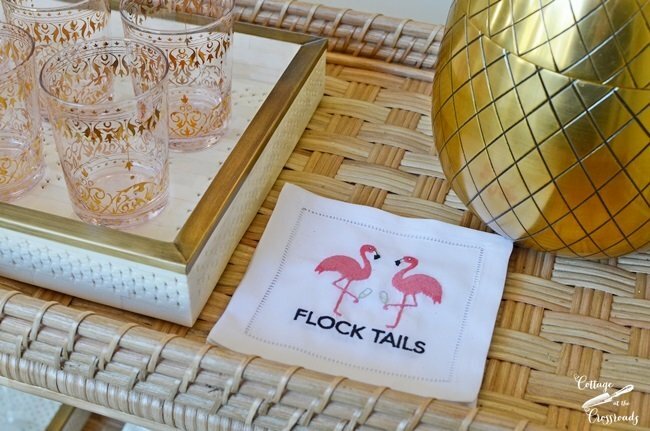 Don’t you just love the “flock tail” napkins on the wicker bar cart? 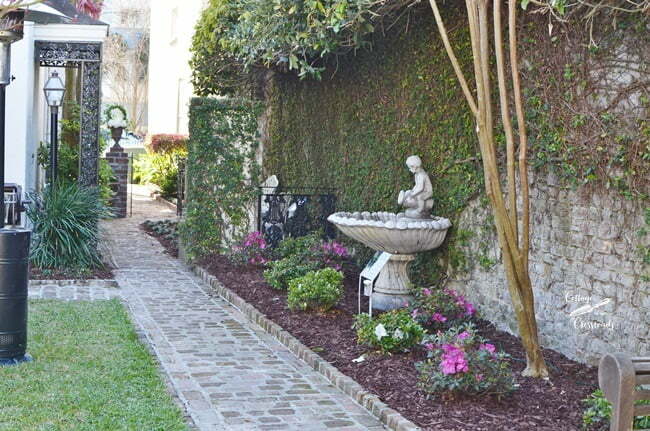 An important part of any Charleston home is its gardens which draw many, many visitors to the city. This home had been unoccupied and the gardens were untended for a while so there was a lot of work to get them in shape for the opening of the showhouse. My friend Faye, who serves on the board of the Symphony Orchestra League, created the two arrangements in the urns leading to the courtyard. 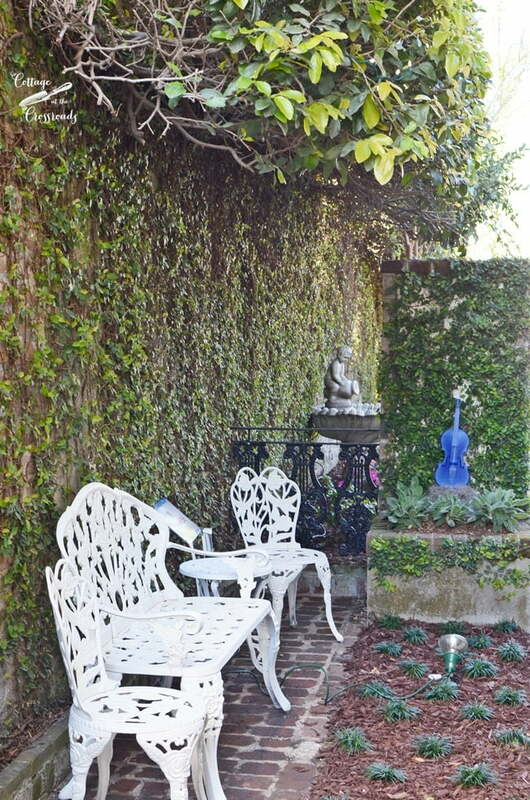 The creeping fig, or fig ivy as it’s sometimes called, creates a lush backdrop for this intimate sitting area. It grows year round in warm areas like Charleston, and we had it growing on our house when we lived in Mt. Pleasant. But you’ve got to keep it trimmed or it can get out of control! 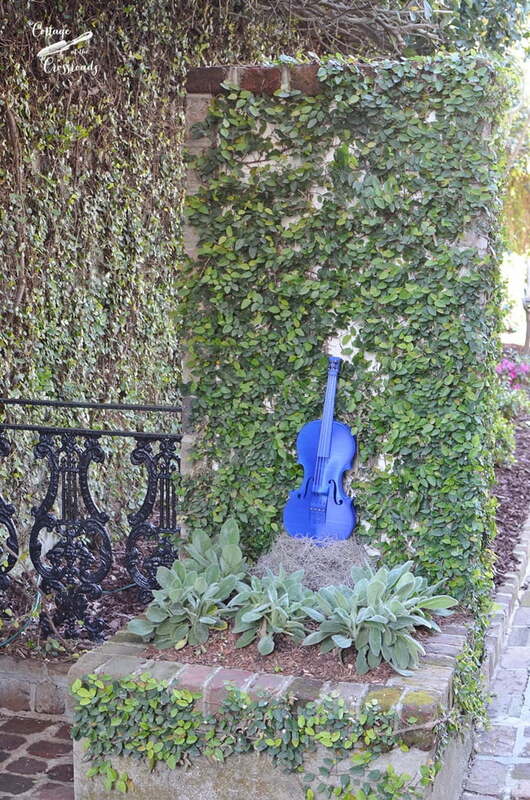 And since this showhouse benefits the Charleston Symphony Orchestra, it was only fitting that this 3D printed violin be on display! I was told you can actually play it and it sounds just like a real violin! 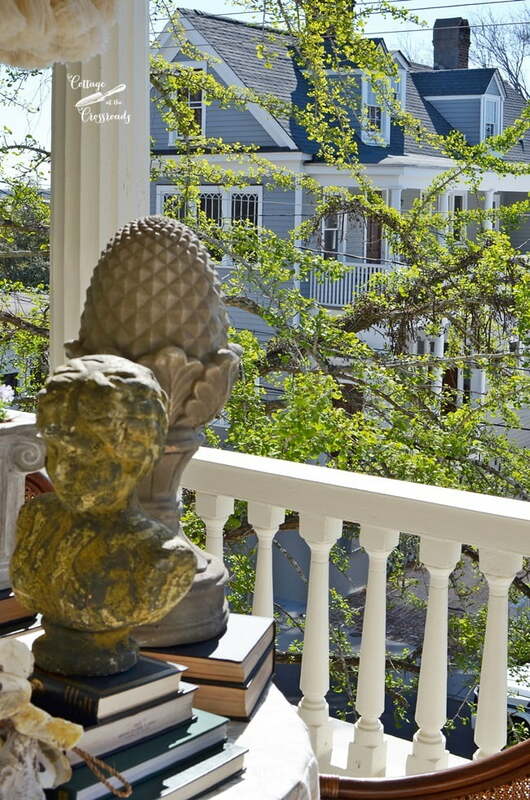 I hope you’ve enjoyed taking the tour of the Charleston Symphony Designer Showhouse with me. Although you’ve seen these photos, I cannot emphasize how much more impactful it is to see it for yourself. I congratulate the league and the designers on the way they honored the historical heritage of the home yet found fresh ways to make it livable for a young, modern family. Thanks so much for sharing these beautiful pictures. Do u happen to know the paint color for the walls and ceiling? That was printed in the 1800’s in the master bedroom? 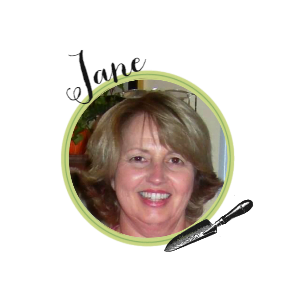 Another great tour Jane. I had hoped to get there today while I was in Charleston but ran out of time. Hopefully I will get there when I go back in a couple of weeks. 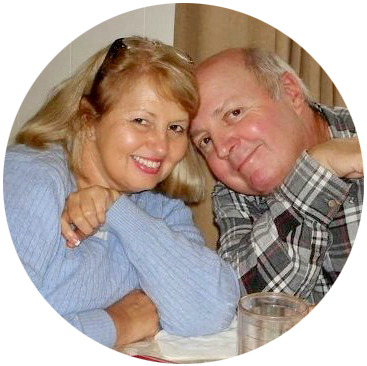 Thanks so much for sharing the photos with us! 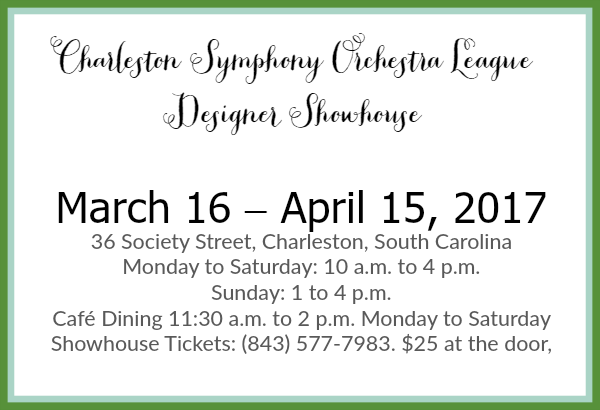 I have been to a few of the Charleston Symphony Showhomes…..hope I can make it this year! thanks for all the beauty today! Absolutely beautiful. I so enjoyed the tour in pictures. Thanks for sharing. Gorgeous, thanks for sharing part 2! 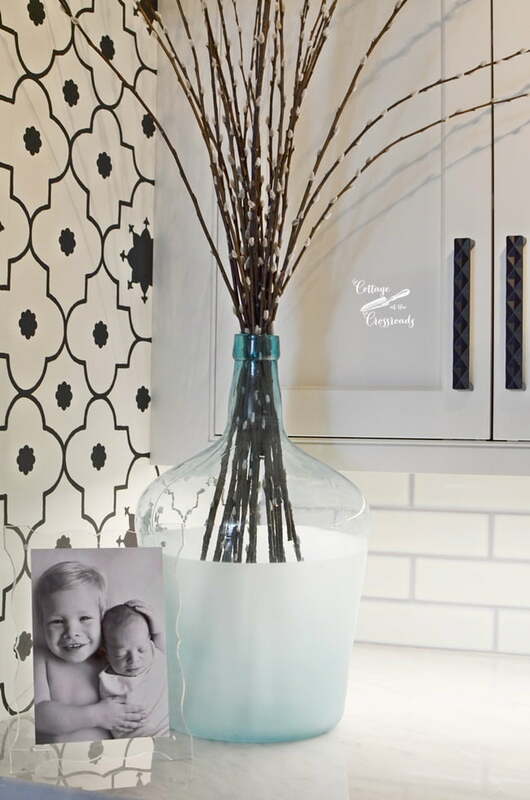 I always enjoy seeing the creativity and whimsy designers use in their show houses. The blue and white bedroom is so dreamy and i’m loving the bright green on the piazza! Maybe my bathrooms are coming back in style with all the gold. Either way, I am seriously loving all the blue that is out these days. I also really liked that green cabinet. Just glad to see color back these days.